How to turn off automatic renewal on Apple Music | What Hi-Fi? 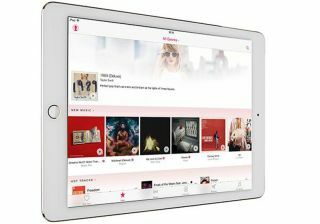 If you've got an iPhone, there's a fair chance you'd have been tempted by the three-month Apple Music free trial. It was made available on 30th June, so if you signed up straight away the free trial will end on Wednesday 30th September. If you don't want to pay for an Apple Music subscription, then you need to switch off the auto renewal feature before your free trial ends. And while it's not impossible to find where to do this, the option is a little bit tucked away. Head to the Music app on your device and hit the profile icon in the top left corner. Then select View Apple ID. Under Renewal Options you'll see Automatic Renewal. Toggle the button from On to Off. Confirm your selection on the pop-up menu, and you're done. Want to keep Apple Music and start paying? A tick will indicate which subscription option you have selected. Open iTunes and sign in to your account with your Apple ID. Click on your name in the top left of the window and select Account Info from the drop-down menu. Once on the Account Information screen, scroll down to Settings. To the right of Subscriptions select Manage. Then select your subscription. You can then turn off Automatic Renewal and select Done.